The wise decision is to use Windows 10 natively in the cloud, as it saves you unnecessary complexity down the road. Citrix and VMware have offered on-premises solutions for VDI/RDSH since the beginning of the category, so most people who implement these legacy solutions would assume they are the leading providers in the cloud too, since Desktop-as-a-Service (DaaS) has been offered for several years now. And they would be wrong. What most people don’t realise is that Amazon WorkSpaces’ flavor of DaaS generates at least 10 times more revenue than Citrix and VMware combined on public cloud infrastructure. That’s pretty amazing, since Amazon WorkSpaces was launched just a few years ago. In 2017, legacy VDI/RDSH solutions deployed on-premises, generated approximately $3 billion in revenue. The growth rate for on-premises solutions is in the mid-single digits according to most analyst reports. That’s why legacy providers are shifting to broader “workspace suites,” which bundle various elements together to drive up margins and growth rates. From a practical implementation and architecture hygiene point of view, it’s going to be a journey to create a platform from these product bundles. But bundles sell, so keep expecting workspace bundle “stuffing” to continue; the question is will customers actually realise value, and how long will it take? In contrast, DaaS on public cloud captured about $500M in revenue in 2017 with a growth rate of around 30 per cent. So, conservatively, within three years, DaaS will capture more than $1 billion annually. It makes sense for legacy tier one VDI/RDSH players to keep pushing into DaaS, as they have been trying to do for several years. Despite those efforts, Amazon WorkSpaces has become the market volume leader and relegated the legacy players to tier 2 in DaaS. How was Amazon able to displace the big guys? Let’s dig deeper. Several years ago, before he became Microsoft’s CEO, I had a personal conversation with Satya Nadella about cloud competition. He commented that running Infrastructure-as-a-Service (IaaS) clouds at scale could only be accomplished by a few companies, which has certainly turned out to be a prescient statement. That’s because the operational learning, skill and discipline it takes to provide these services can only evolve over time and with experience; it also requires a corporate culture that is adept at change and staying in front of new technology. This is one reason many attempts at DaaS have failed; getting the IaaS infrastructure to work is extremely difficult – it’s why we see most VDI/DaaS providers trying to offer their solutions on public cloud infrastructure. But if DaaS were so easy, it would already comprise a much larger market on pubic cloud. Just take what you have and host it on a public cloud, right? There are many other factors to consider, including architecture, on-boarding, support and enterprise requirements. On-premises VDI is notoriously complex, costly and hard to scale, as any practitioner can attest to. 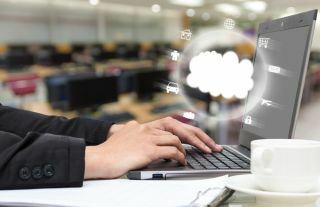 So, logically, just moving those existing VDI architectures into hosted cloud environments is going to have limited success and will very likely result in lots of service outages. Additionally, if your architecture has to serve the needs of legacy solutions as well as public cloud infrastructure, you end up making compromises and adding complexity. The legacy business model is to sell expensive, high-touch support contracts and professional services add-ons to assist these customers with all that complexity. The reality is that many hard-working and noble professional services and support personnel are spread thinly across too many products and accounts. This results in a poor-quality customer experience. However, these are healthy revenue streams for central business units not aligned to product business units. So, vendor interests are not aligned with customer deployment success, and this results in lots of customer frustration and their inability to realise value from these solutions. So, while there are valid reasons for advanced professional services and many value-add opportunities for partners, the legacy business model is flawed, it does not represent the best interests of customers and it will not work in a service model. Because of its infrastructure, Amazon WorkSpaces has grown up quickly for a certain segment of customers who need a very basic solution. However, issues remain. For example, Amazon WorkSpaces does not offer Windows 10 on virtual machines on shared hardware. Amazon WorkSpaces only offers Windows Server with Desktop Experience turned on or you have to bring your own license and procure dedicated hardware through AWS to support Windows 10. You can see the frustration this causes customers here on the AWS forums. Using its SAC (Semi-Annual Channel), Microsoft is evolving Windows Server quickly. So, enterprise customers who stay on Windows Server remote desktops will have to stay on the LTSC (Long Term Servicing Channel) with the same Windows 10 branch if you want to stay in synch. If you don’t keep these in synch (i.e. your physical Windows 10 environment stays up to date), then you have to test your entire application infrastructure against multiple environments, increasing complexity. Is that a prudent way to move to the cloud for your Windows 10 strategy? There are rumors that Windows 10 may offer this RDSH-type functionality natively in the future, but one can only speculate at this juncture. This is the most logical evolution to reduce application complexity for customers. The wise decision is to use Windows 10 natively in the cloud, as it saves you unnecessary complexity down the road. Staying current with Windows 10 versions, which are updated twice a year, is much simpler in the cloud than it is for physical PCs or laptops. In effect, with Windows 10, you can no longer only update every five to seven years and still expect to take advantage of new innovation. Staying current is a continual process moving forward and, irrespective of solution choice, enterprise customers need to face this reality. Complexity is the enemy of execution. In the case of DaaS, Einstein’s words ring true: “Everything should be as simple as it can be.” When it comes to building a cloud-native desktop service, it really is a completely different ball game, requiring a whole new approach. A truly cloud-native, multi-tenant architecture that has the design principle of simplicity at its core is fundamental to earning customers’ trust. That trust is earned through deep partnering behaviour that puts customer success first, and through great technology that continues to prove its value over time through superior performance and attractive economics.